Avex is a creative digital agency and web design company based in New York City. We partner with brands, agencies and start-ups to create meaningful experiences in the digital space. Our goal is NOT to take on every project that comes our way, just for the sake of growing. We take on select projects in order to bring as much value as possible to the brands that we partner with. We take a very collabortive aproach to the projects that we take on, involving our clients in every step of the process. We feel this approach produces the best results for our partners. 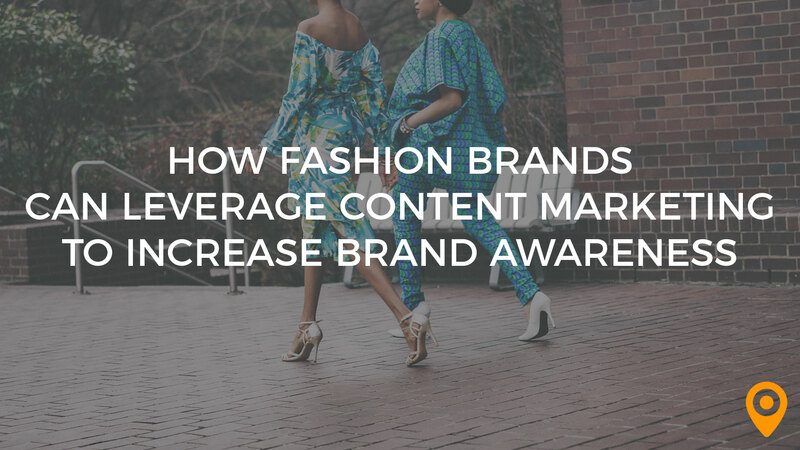 Fashion brands can use content marketing to increase brand awareness. Find out how to best leverage this portion of a digital marketing strategy to increase conversions. Here are a few approaches to consider. I loved Avex’s attention to detail and their expertise in guiding me to launching our ecommerce store. Honestly, there was no real problems at all. It was an amazing experience all around. We will continue to work with Avex to grow our brand. It was a seamless experience. They helped setup our store, design and develop an amazing website for our brand. Avex Designs built our site quickly and beautifully. Their communications were excellent and well documented. I would recommend this team. They are intelligent and a one-stop-shop to bring your vision to life. The Avex team were very easy to work with - clear in the project timelines, deliverables, and any needs that came up. They're also very efficient and able to turn around great work in a very short time frame. I don't really have anything to add here. They've done a great job at every stage along the way. We worked with Avex on the design and development of an e-commerce site and they came to the table with great ideas on the design and functionality. Once we got started, the Avex team were transparent at every step along the way with clear timelines and readily available communication on any questions or concerns that we raised. The work was all turned around in a very quick timeframe. They're great, and I would definitely recommend them to others - hands down! Avex Designs customer service, knowledge in their field and execution of final product is second to none. I have not had any issues when working with Avex. I have no complaints. I have worked with Avex Designs on and off for the past 5 years. They continue to be my 'go to' for all my web development needs. Not only are they exceptionally well versed in their craft; for me, their customer service and client relations is what sets them apart time and time again, always going above and beyond for myself and our company. I would recommend them to anyone, whether you're an individual, small or large business. The Avex team was incredibly helpful with a tight turn around time on a product launch/site refresh that's already proving successful. Their communication and willingness to prioritize time sensitive matters was key. I'm partially to blame, but our communication via Basecamp often broke large to-do lists into several other conversations causing certain details to fall off as the conversations evolved. Definitely satisfied with Avex's work and look forward to utilizing the team on future projects. The team makes sure to get the job done to your standards. Avex was very receptive to our ideas and would always try and come up with a solution and a way to execute our concepts. There were very few drawbacks to working with Avex. Overall this has been a very positive experience. We gave Avex a lot of concepts and ideas to implement and for the most part they were able to accomplish these goals. We look forward to continue working with them on our website as it evolves. The team at Avex is fantastic. They approach every project as if it were their own business. They are creative, insightful, proactive, and just a great group of guys. I would trust them again and again. Honestly don’t have a bad thing to say - these guys are good! An all around great experience, would use them again, and would recommend them without hesitation. Avex is very Professional, they are able to complete projects in a timely manner and it is always amazing quality work. They are very popular and busy, but always get the job done on time. I have worked with Avex on several projects and will continue to use them for our marketing needs. They have designed our company brochures, retail packaging and have assisted with graphic design on various other projects. Easy and prompt communication across both teams. They work with project management tools that help keep track of the progress and pending tasks very easily. Their expertise is definitely web development. Having someone from the client side being in charge of managing this project and following up on all details is important. They might be working with other clients simultaneously, so progress will depend on a brand person following up on the client needs. They are easy to communicate with, (e-mails, phone calls, Google hangout). They always find solutions to impromptu changes and new needs, and work with the client and other third party partners to assure the proper completion of the project.